If you have found our support or this information helpful, would you consider supporting us with a donation? 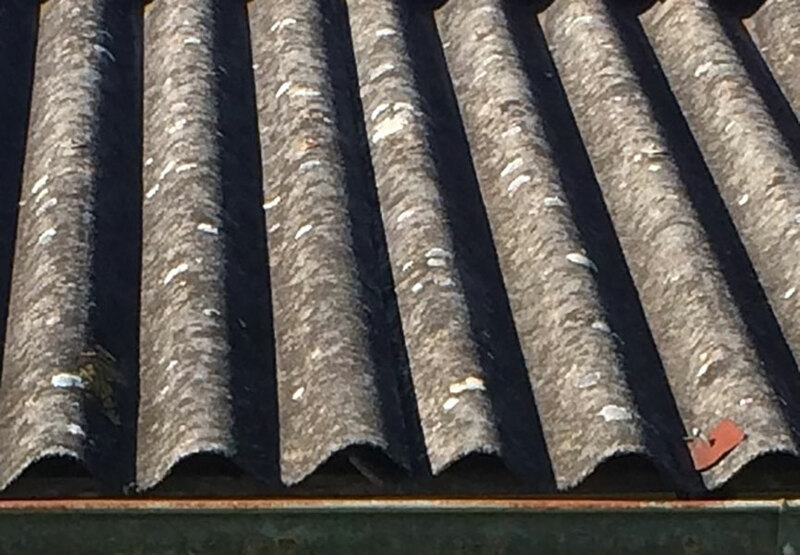 Asbestos Cement Corrugated Sheeting is made from a mixture of cement and asbestos fibres, as such unless it is painted, it looks grey in colour, and tends also to have a noticeable fibrous look about it (this is particularly the case where it has been used as roofing). 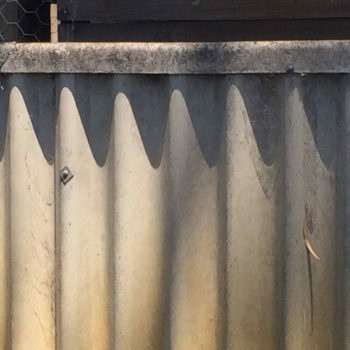 It is generally easy to distinguish from other forms of corrugated materials such as ‘Colorbond’ and galvanised metal roofing. 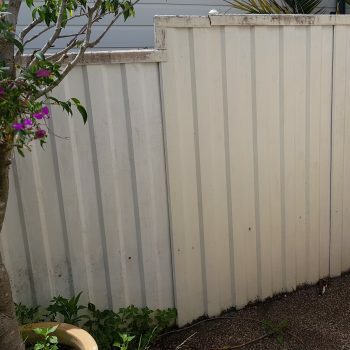 If you live in Western Australia, it is easy to confuse modern day asbestos free corrugated cement ‘fibro’ fencing material with asbestos cement ‘Super 6’ corrugated ‘fibro’. 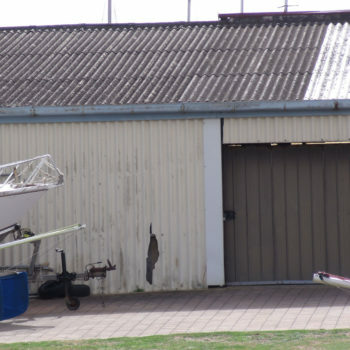 This product is known as ‘HardieFence’ and only sold and used in Western Australia. 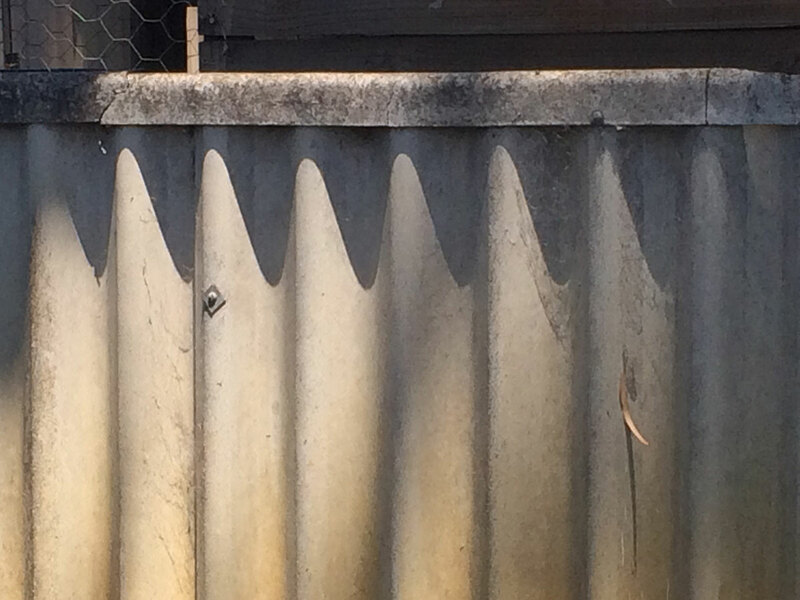 If you live in WA and your corrugated cement fencing was installed after 1990, it more than likely will not be ‘Super 6’ and thus not contain asbestos, if in doubt you should have it tested before working on it. 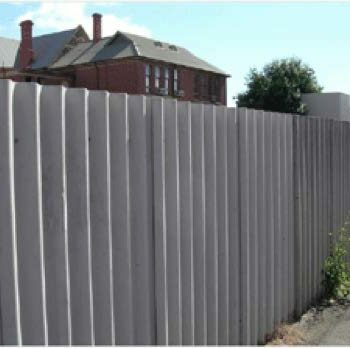 If you live anywhere else in Australia, and have corrugated cement fencing it will be ‘Super 6’ and contain asbestos. 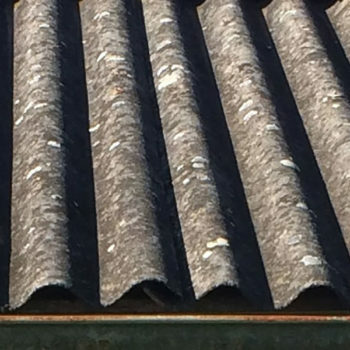 ‘Super 6’ was not the only rounded profile used; it was also made in a shallower profile, known as ‘Standard’ which is very similar in profile to corrugated metal roofing, and has 25mm (1 inch) corrugations. 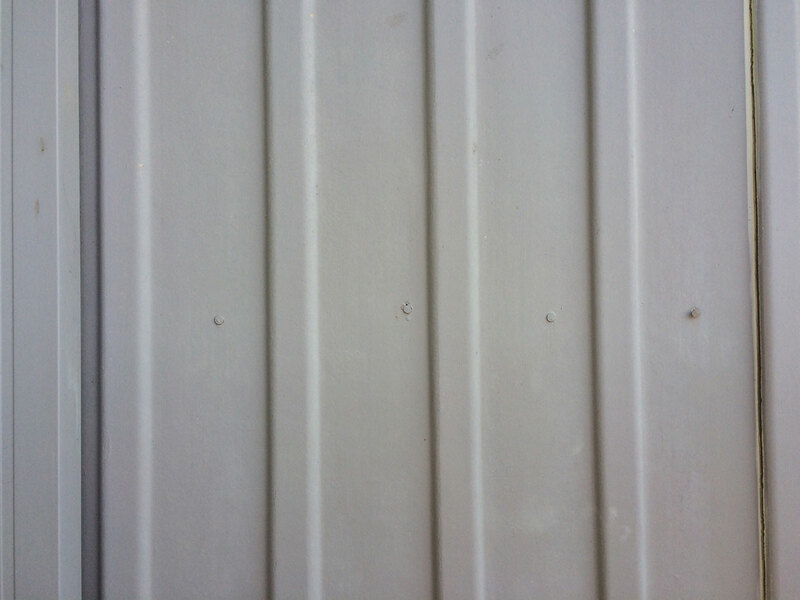 This profile, or type of asbestos cement corrugated sheeting was used mainly on houses as roofing, and occasionally as wall cladding. 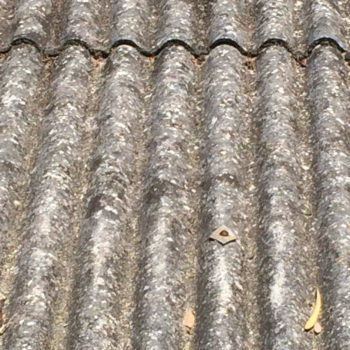 There is no modern day ‘asbestos free’ version of ‘Super 6’ or ‘Standard’ cement corrugated sheeting that is used for roofing or cladding. 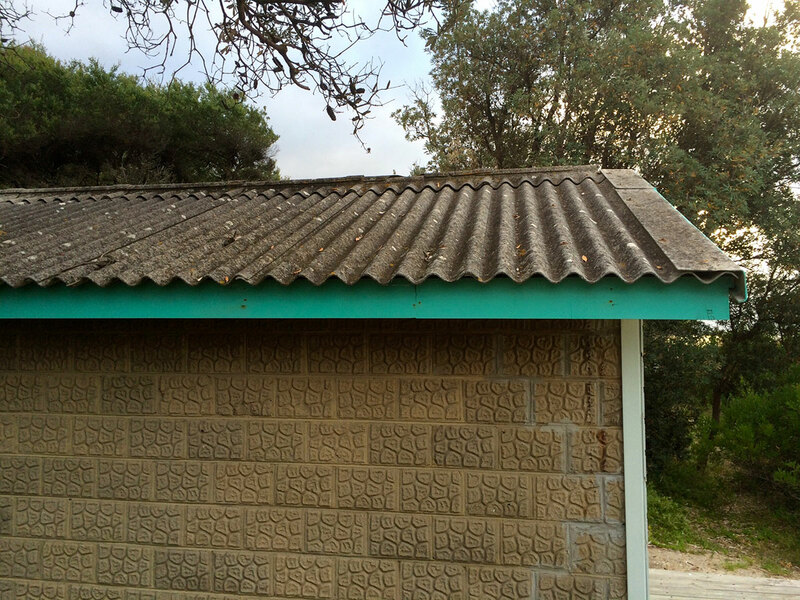 Therefore, all cement corrugated sheeting, being used as roofing or wall cladding in Australia contains asbestos. 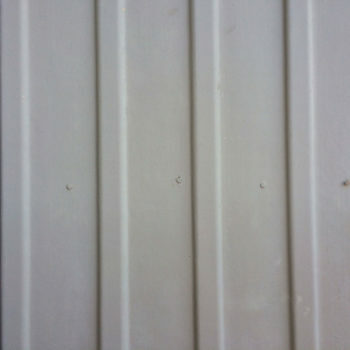 Asbestos cement corrugated sheeting ceased being manufactured and installed in Australia in the 1980s; this means all of it in Australia’s built environment is now over 30 years of age. 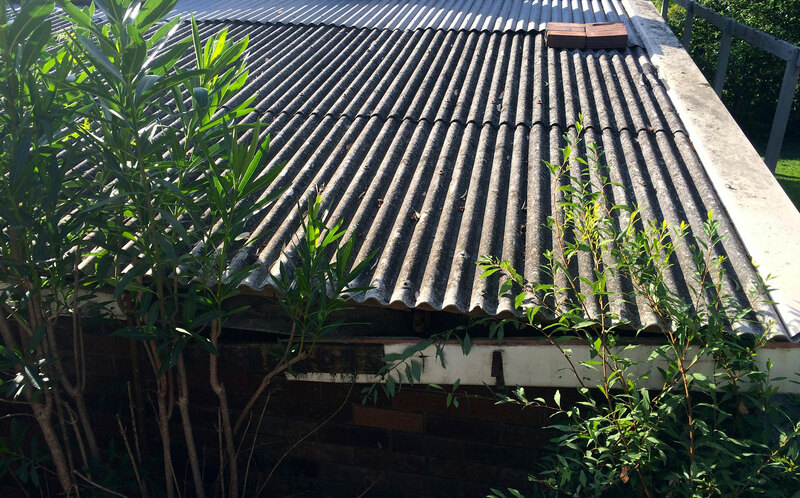 Much of it is far older, when manufactured it was given a life span of 25 years, it is therefore not hard to conclude, all asbestos cement corrugated sheeting or material is well past its ‘use by date’. 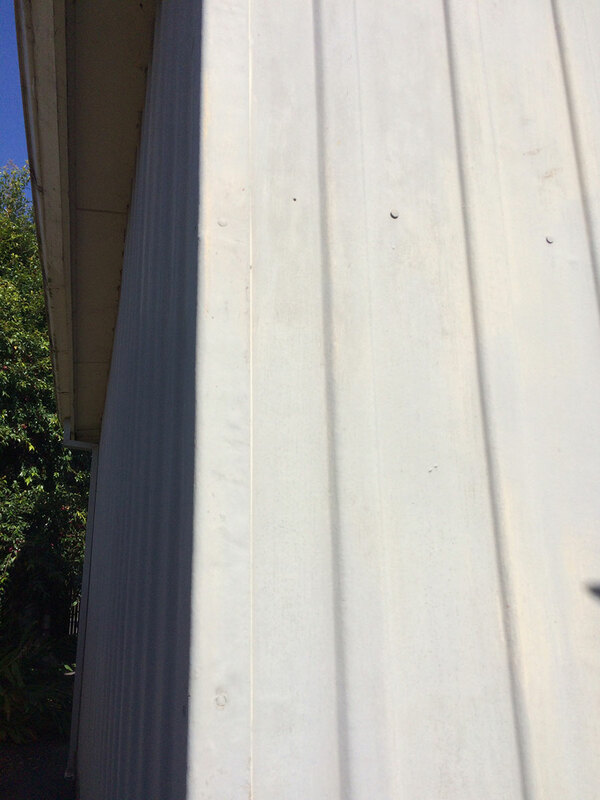 The standard adage (when applied to asbestos cement ‘bonded’ material), “If it is not damaged, and in good condition, leave it alone.” does not apply to asbestos cement corrugated sheeting that is not painted and in good condition. 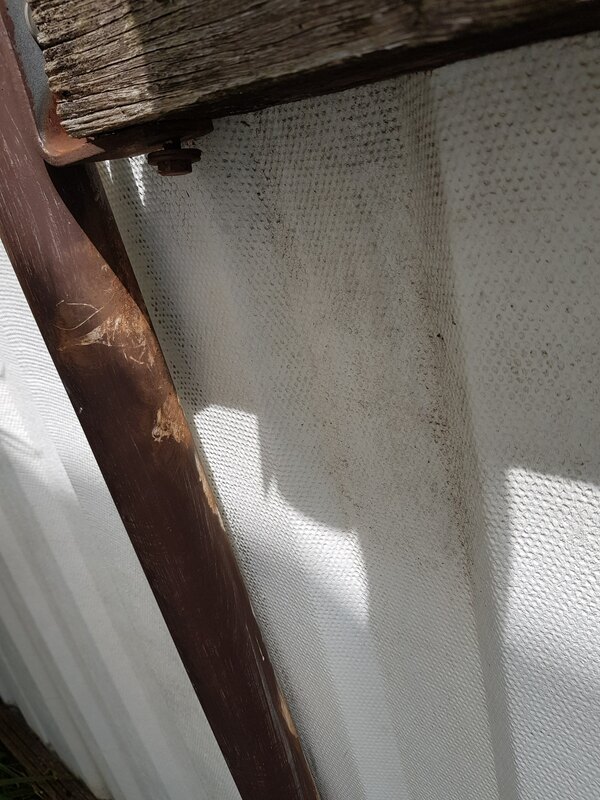 It is hazardous, and needs to be replaced. 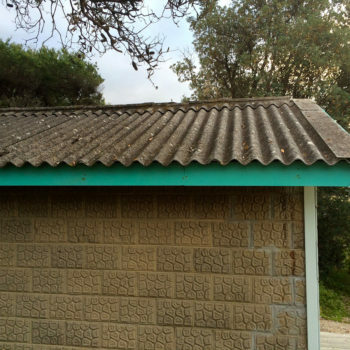 Why is asbestos cement corrugated sheeting different to flat sheet asbestos cement sheet? 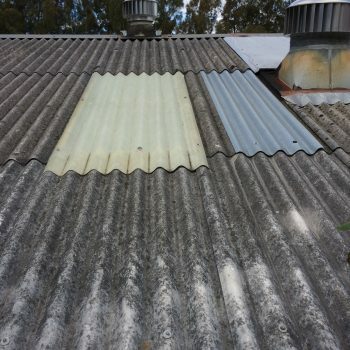 Asbestos cement corrugated sheeting is more prone to weathering due to the manufacturing process that was necessary to form the corrugations, and unlike flat sheet asbestos cement, is rarely painted – particularly when it has been used in roofing applications. 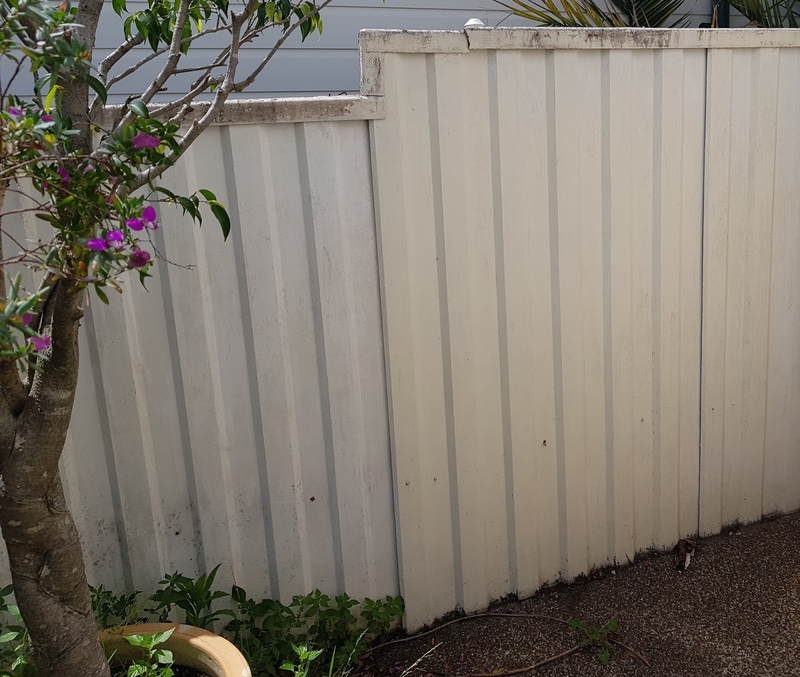 The fact that it is rarely painted (thus helping to seal in the asbestos fibres), means that as the cement-bonding agent breaks down due to being constantly bombarded by the harsh Australian weather conditions, asbestos fibres are released. 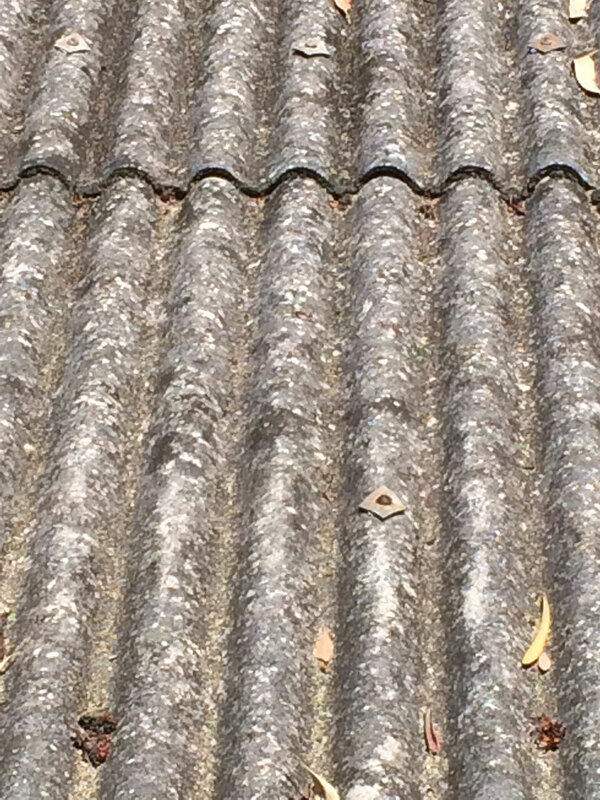 As age creeps up, every time it rains or the wind blows, more and more of the cement dissipates allowing greater quantities of asbestos fibres to be released. 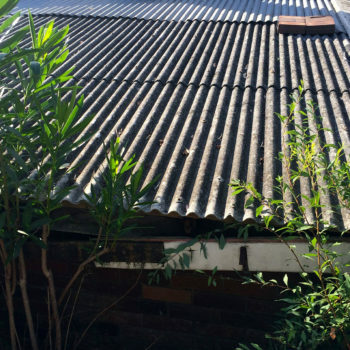 Asbestos cement corrugated roofs, walls and fences that are not painted and well looked after, are health hazards that need to be removed and replaced as soon as financially possible. 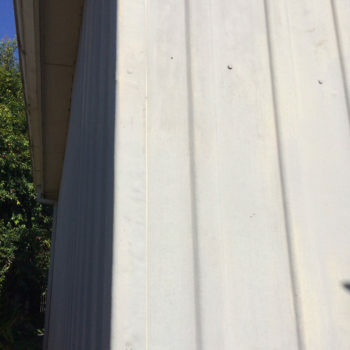 This should be acknowledged, and made a priority by anyone owning or considering buying a property that has asbestos cement corrugated sheeting that is weathered. 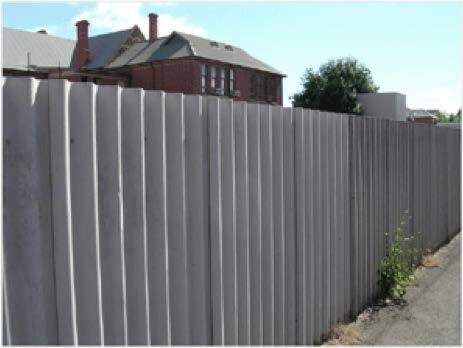 It is widely held as being the number one material that should be prioritised for removal from Australia’s built environment. 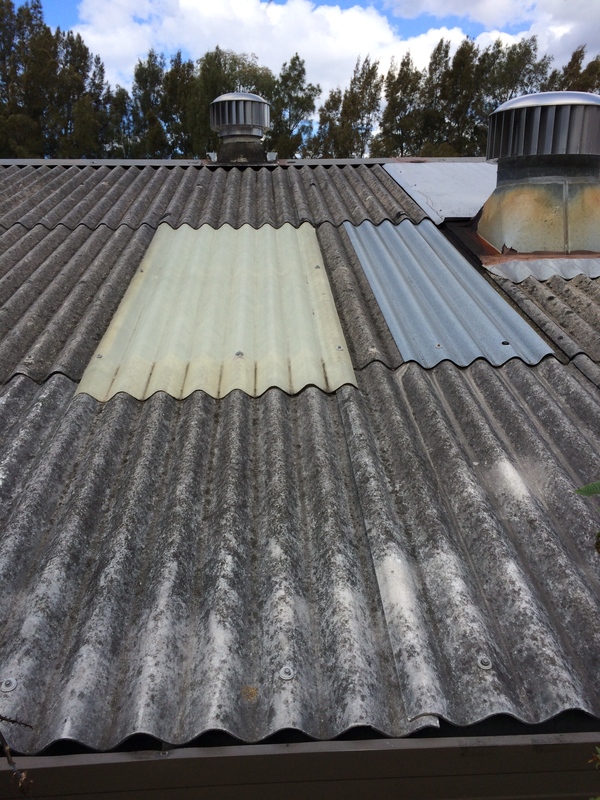 All asbestos cement corrugated sheeting material, regardless of its application, should only be removed by fully licensed asbestos removalists. DO NOT walk on it! Note: The Bernie Banton Foundation is not accredited to provide advice. The information provided is for assistance only. 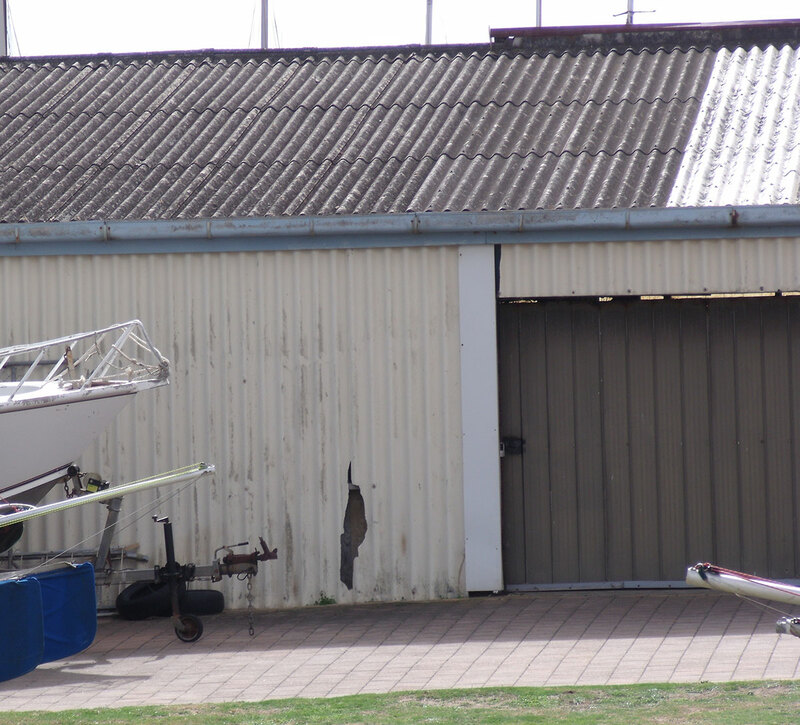 Asbestos Insurance – Are You Covered ? 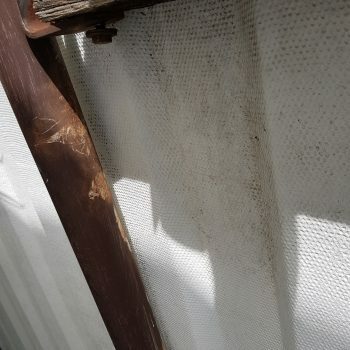 Managing Property Asbestos – Who Is Responsible ? Mesothelioma – Diagnosis + Staging etc. BBF – What Do We Do? Who did Bernie Banton Endorse? You will be emailed the Bernie Banton Foundation's e-news sendouts as soon as they are published.